"I can see why people come to Q-Team...."
"Excellent... most professional from initial phone call to completion..."
Thank you very much ...for visiting our site. Before you hire anyone for tree services, please click here to see what your friends and neighbors have said. If you are interested in Bulk Wood Pellet storage and/or delivery, please click here. There is a dramatic difference between local tree service companies. 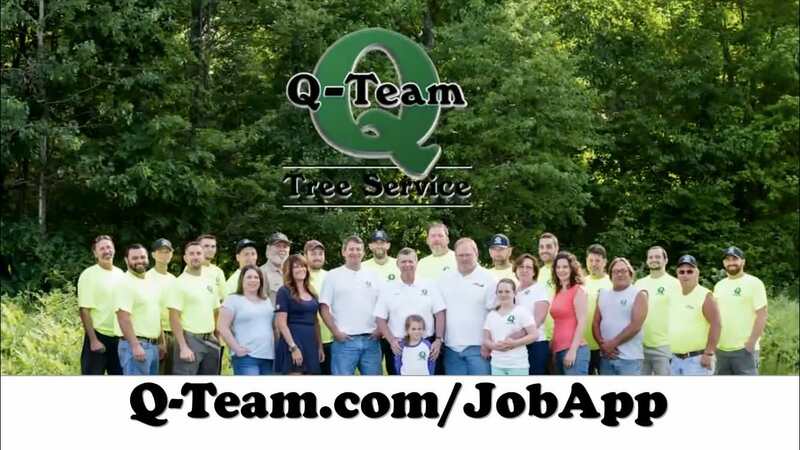 Q-Team has been setting the standard in quality, integrity, and professionalism in the tree service industry in Southwestern Maine for over 30 years. Q-Team and Cook's Tree Services merged in 2007 and now do business as one company. When you contact us, you will often be answered by a live person, Jan or Bobbie, your tree work will be quickly & honestly evaluated, and a fair price estimated by an experienced and certified Maine Arborist (typically Adam, Aaron or Robert). A well trained, well equipped, professional crew will perform the work (no "under-the-table" workers), you will be fully protected by our insurance coverage (general-liability policy in the unlikely event of excessive property damage, and by our workman's compensation insurance which protects you from liability for injured workers), your wood waste will be recycled (not dumped on someone else's property without permission), all shoreland zoning laws will be adhered to (you are liable for excessive cutting) and your property (and your neighbor's property) will be respected. There's an excellent chance you will be fully satisfied with the end result. Please be sure to view the testimonials page before you leave the site. You will see many comments from loyal Q-Team customers, some of whom are likely your friends, family and neighbors. Please feel free to e-mail us and let us know what you think of our web site. ...and good ideas are always welcome. Please, join us on Facebook. Click here, then click "Like" to join us for some free give-a-ways and some interesting daily conversation and photos about trees. For those who have yet to join Facebook, simply go to http://www.facebook.com/ and sign up. It's free, it's easy and it's fun. Our Facebook friends automatically get a slight discount on their invoices. Please join our periodic newsletter (sign up at lower right of page) for interesting information and to be kept up-to-date on special deals and promotions. Newsletter subscribers automatically get a slight discount off their invoices. To see more about what makes Q-Team different, Click here. Note: We are the logical alternative to Lucas Tree Experts, Whitney Tree Service and Marston's Tree Service. Located in Southwestern Maine.